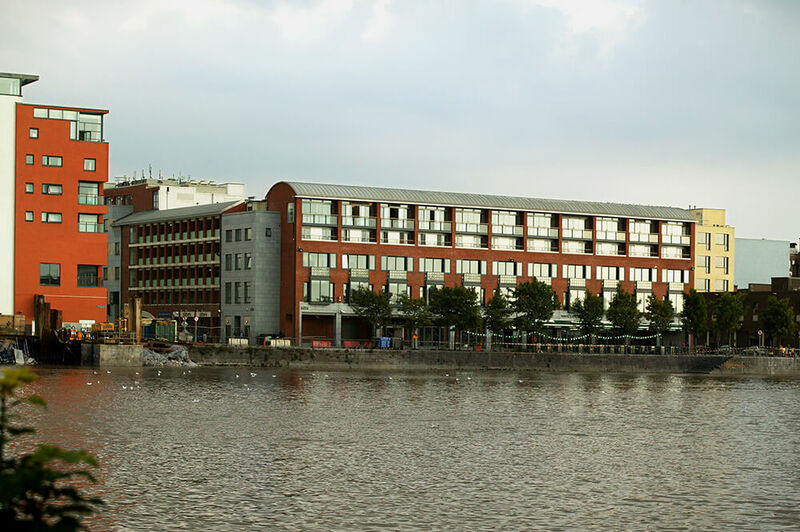 This city block between Henry Street and the river Shannon has been developed with new buildings of various public and residential uses along its perimeter, and a car park structure in the centre of the site. The river building is the frontispiece to this larger development, a shallow building forming the river elevation of the block. Located between the two major bridges across the Shannon the site is highly prominent. 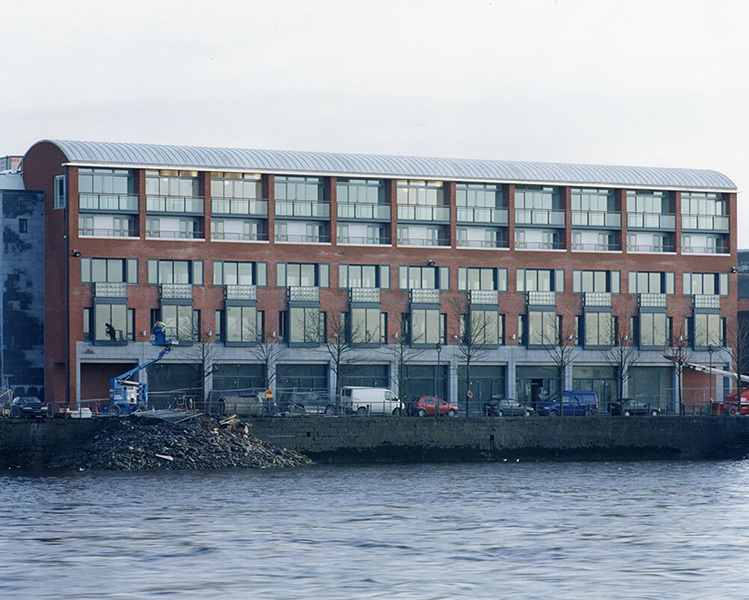 The derelict nature of the riverfront at the time of development, allowed the new building to dictate its own rhythm and scale to the Quay. 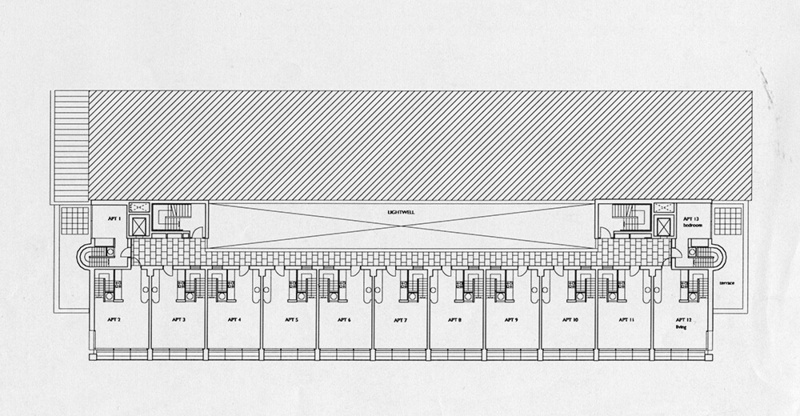 The brief for the building was commercial and speculative and fluctuated through it’s development, but always called for separate uses on various floors. The basement and ground floor was to be developed as a bar restaurant, the first and second floor consisted of work space. Above this, two storey apartments benefited from a spectacular view across the Shannon, to the countryside beyond. The façade to the River is composed of the repetition of a single bay, which articulates the vertical layering of different functions. The metal curved roof allows the building to read as a distinct form when seen from across the river. This elevation is contained each end by solid stone bookends which turn the corners, providing abutment to various adjoining conditions, and mark the two identical entrances to the building. 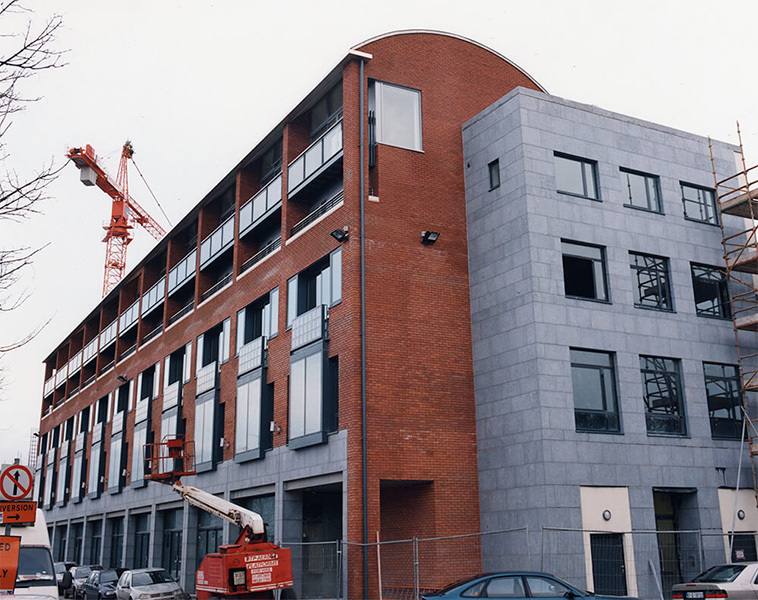 The external materials used in the building are those commonly used in similar developments, red brick, Carlow Limestone, aluminium windows and curtain wall systems. Working with this palette, our concern was with the composition and articulation of the various elements against the primary plane of red brick, to produce a vertical composition and rhythm appropriate to the riverfront and clearly legible from the far bank. 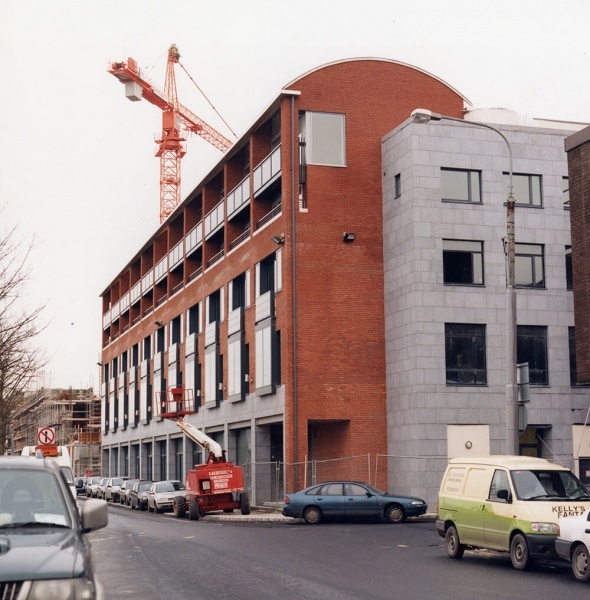 The ground floor restaurant can be entered from either Cecil Street or Shannon Street corners. The upper parts of the building are accessed from either of two identical cores, and the building is separated from the adjoining car park by a long slender light well. The apartments are accessed at bedroom level from an external gallery. Materials to the gallery side are of a more domestic nature, light coloured render and iroko joinery and plant boxes. A hardwood stairs leads up to an open plan living space with panoramic views of the river.